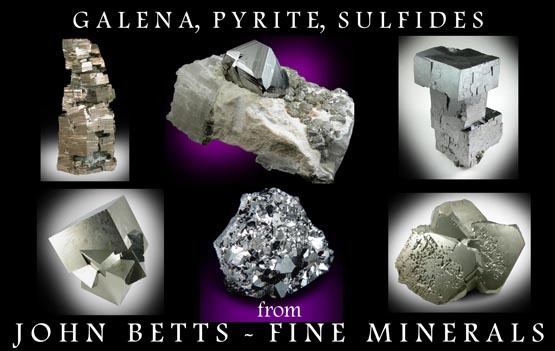 Description: Transparent realgar crystals on gray matrix. 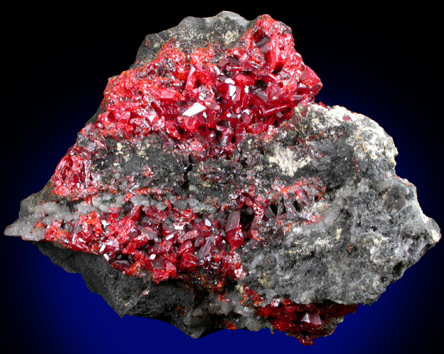 The realgar crystals are blood-red and have lustrous crystal surfaces. 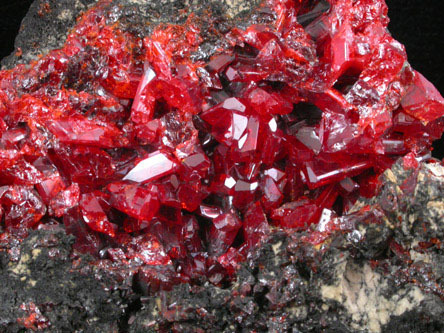 Most realgar specimens from this mine do not have distinct crystals like this specimen.